← Remember That Superpower You Wanted? What Superpower Would Your Evil Self From an Alternate Dimension Want, and Why? 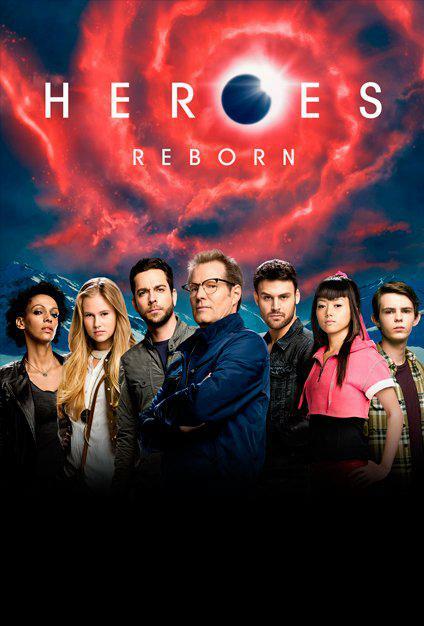 After giving my initial review of Heroes, I thought I’d wait one or two episodes after the premier of Heroes Reborn to offer my two cents on it. We have a lot of the things that made the original show so great, but it’s much more refined. For one thing, they’re following multiple threads simultaneously, but they’re already interconnecting, as opposed to dangling all of these characters separately for the majority of the season. For another, they clearly have something concrete in mind to work towards, an actual goal. So, instead of a struggling, semi-coherent plot with loose threads all over the place, we have a tighter, more gripping narrative to enthrall us. Not to say everything’s perfect, as that scene with Molly refusing to work with Noah Bennett, who is probably the single most qualified person in the world to help her not get hooked up to a computer, seemed to show her amazing stupidity (unless this was actually somehow part of the plan? ), but that point notwithstanding… I am enjoying this show! There’s a number of mysteries to solve, including what’s happened to each of the characters we knew and loved (Claire is apparently dead somehow, but what happened to the rest, especially the other immortal, Sylar? ), what “perfect plan” Noah created that he hid even from himself, and why do people even have abilities at all? All of this wrapped up in the Heroes’ intertwining struggles against evil corporations, shadow organizations, a society which fears them, random people filled with unrelenting hatred, and even with themselves as they just want to fit in and lead normal lives. And the promise of an apocalyptic climax! Yay! This entry was posted in Tuesday Review, TV Shows and tagged Heroes, Heroes Reborn. Bookmark the permalink.